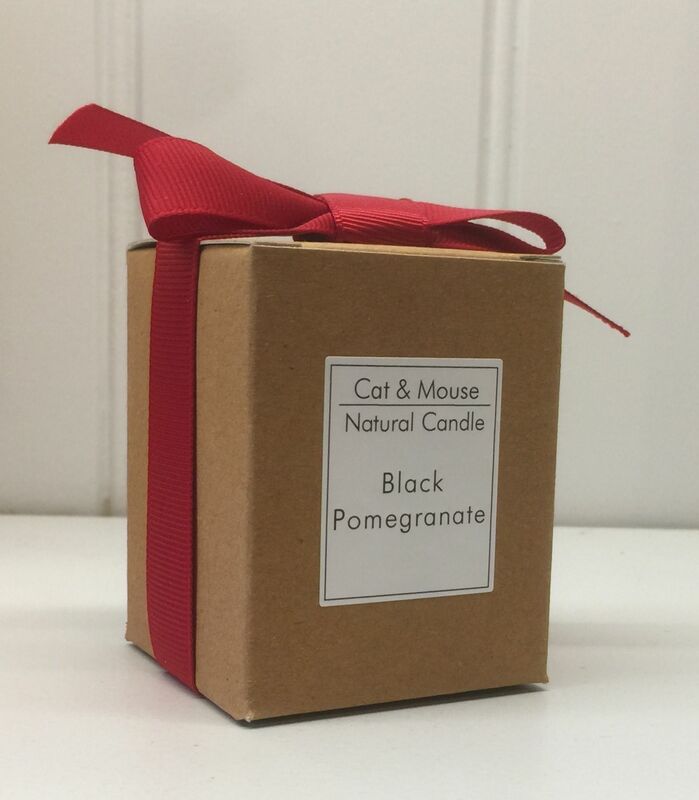 This scented candle, in a lovely gift box, is part of our own Cat & Mouse brand of products that are made specifically for us by an ethical and environmentally friendly manufacturer of natural products based in Wiltshire. 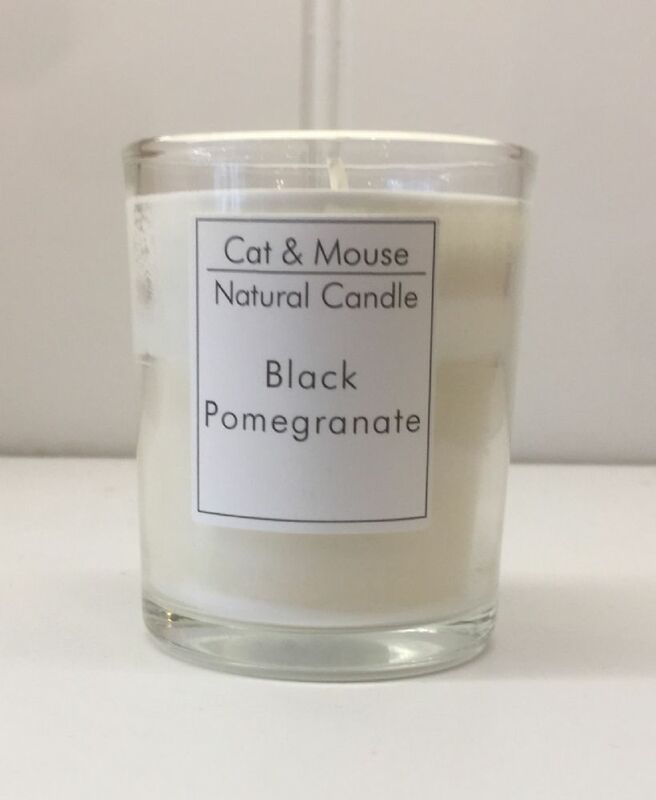 The candle is created with a unique blend of plant wax that burns cleanly and effectively and is infused with fine fragrances and essential oils. 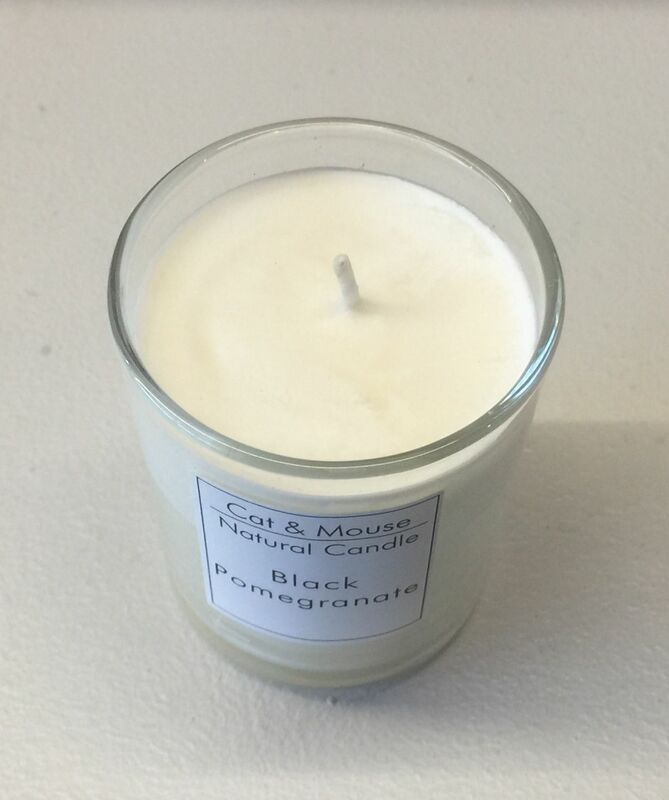 The blend, which has been hand poured into the attractive glass votive, burns for a total of 30 hours. 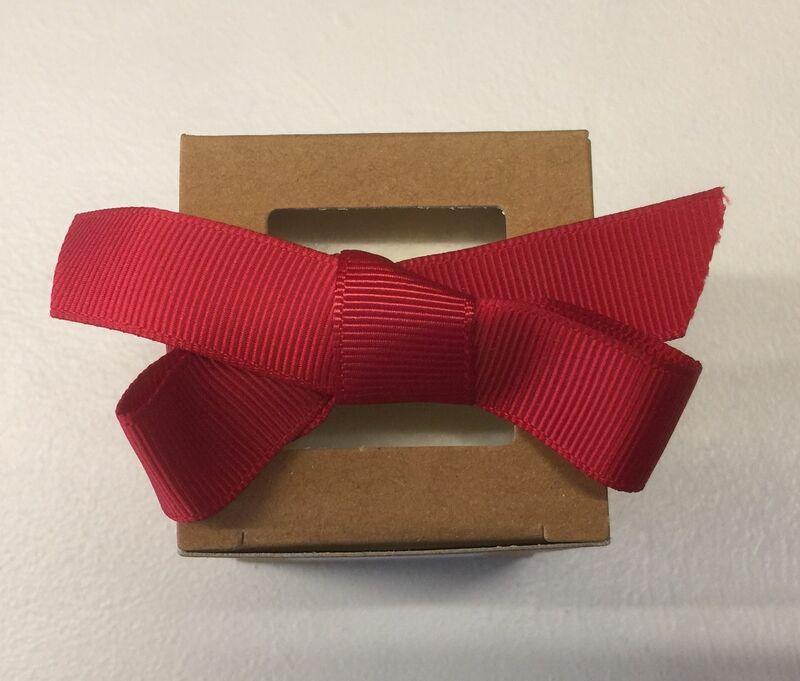 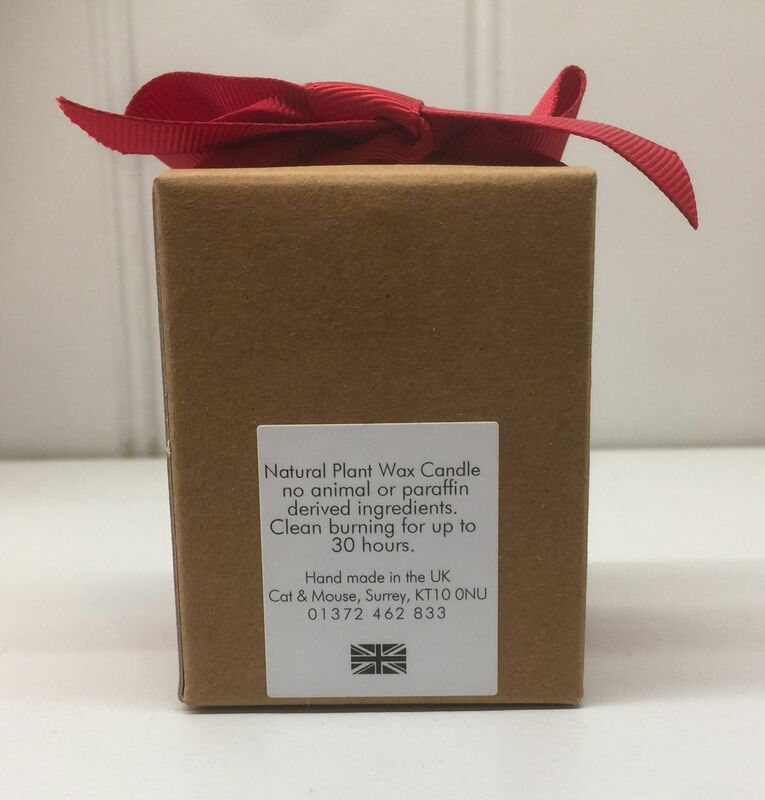 The candle comes in a beautiful cardboard gift box, with a square shaped cut out (so the scent of the candle can be smelt) at the top and a red ribbon all made from recycled products.